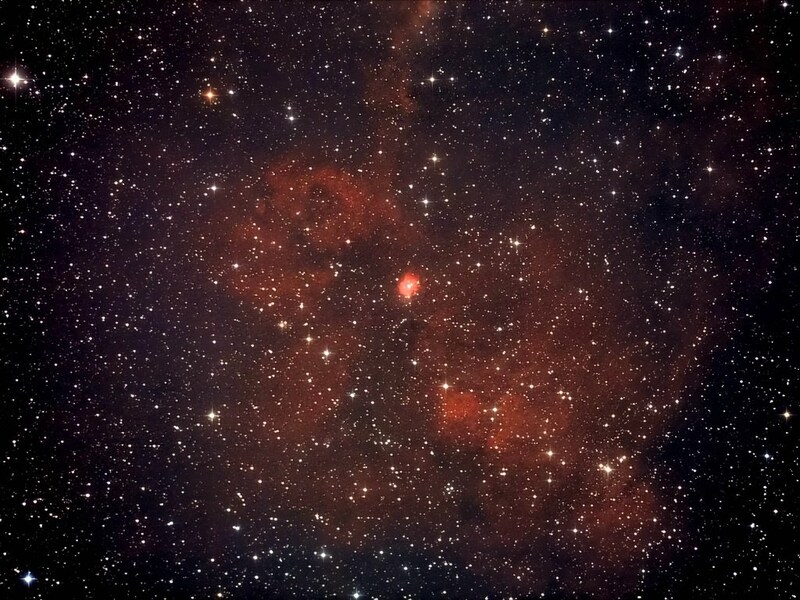 A few nights earlier than my previous post I had obtained the subs for yet another of the Cepheus nebulae but have only just found the time to process the image. This was also with the Newtonian. 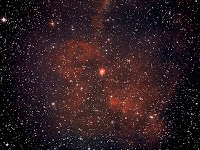 Central of the image is an intensely bright spot of nebulosity surrounding star TYC 4279-1192-1 which is sitting in an area of more diffuse nebulosity. This also requires some proper identification. Transparency on this evening was a bit variable. Details: 10" f4.3 Newt. 20x 7 minute exposures @ iso1600 with CLS in DSS, CS2 & XAT.